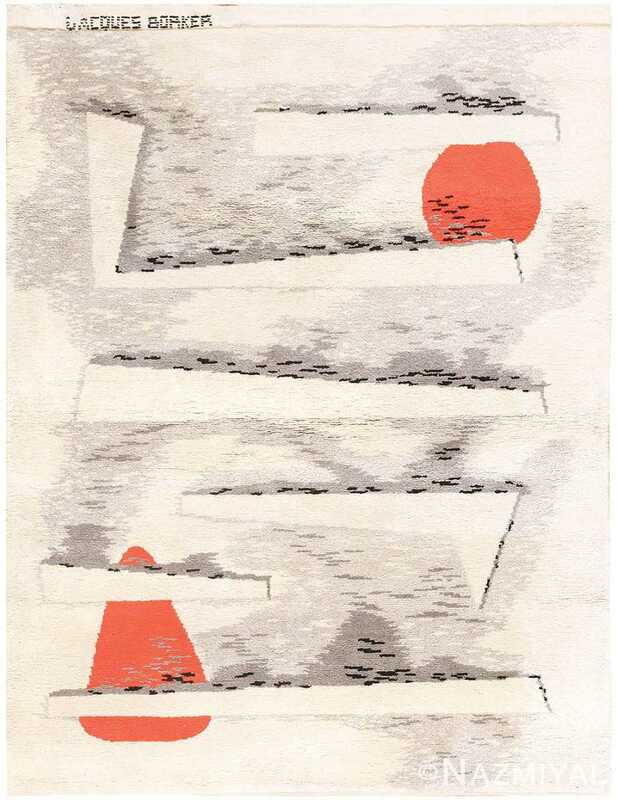 Artist Jacques Borker — Jacques Borker (1922 – ) is a French artist as well as a carpet designer whose work has been linked to both the abstract and Art Deco styles. In his younger years, Jacques Borker studied architecture, design, and tapestry art at the Ecole des Beaux Arts. He was active in the French Resistance in World War II, and was involved in the liberation of Toulouse. Today, Borker’s work is exhibited in galleries and museums across the world. He is credited with giving late-20th century French Art “a certain elegance” not seen since the 1920’s. Jacques Borker is most known for his use of bold color and geometric abstraction in his magnificent art works and carpets..